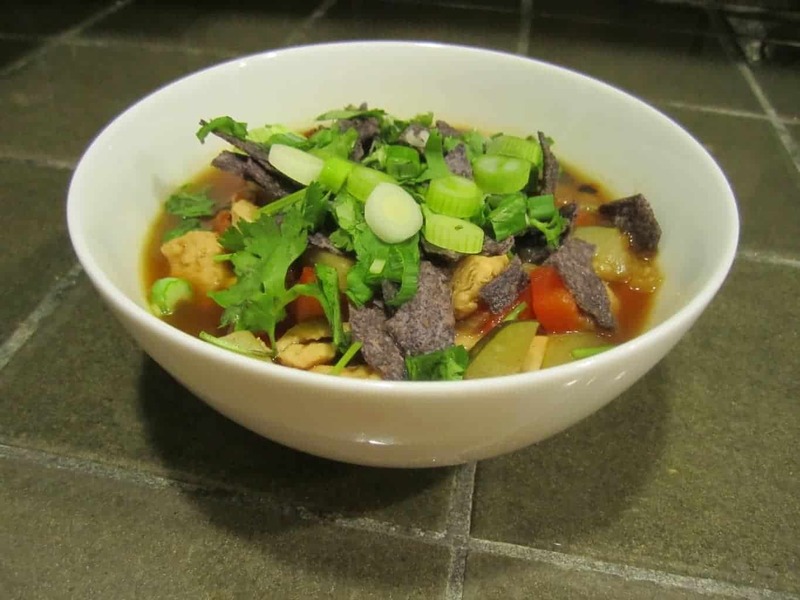 This simple, flavorful Mexican chicken soup is warm, comforting and easy to make. Naturally gluten free, it’s great for feeding a crowd! 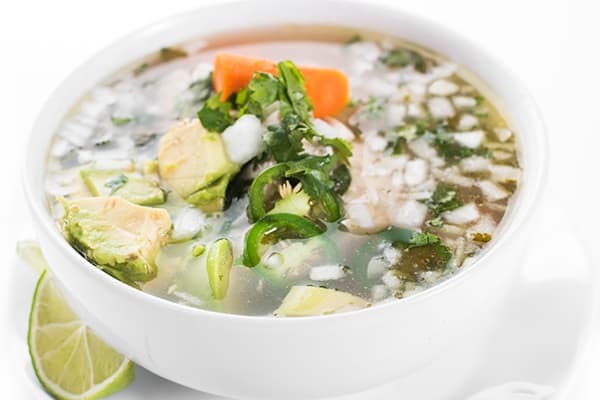 Mexican chicken soup, also know as caldo de pollo, is one of my top comfort foods of all time. While I love cooking soups all year round, I especially find myself craving it more as the temps continue to drop here in Michigan. 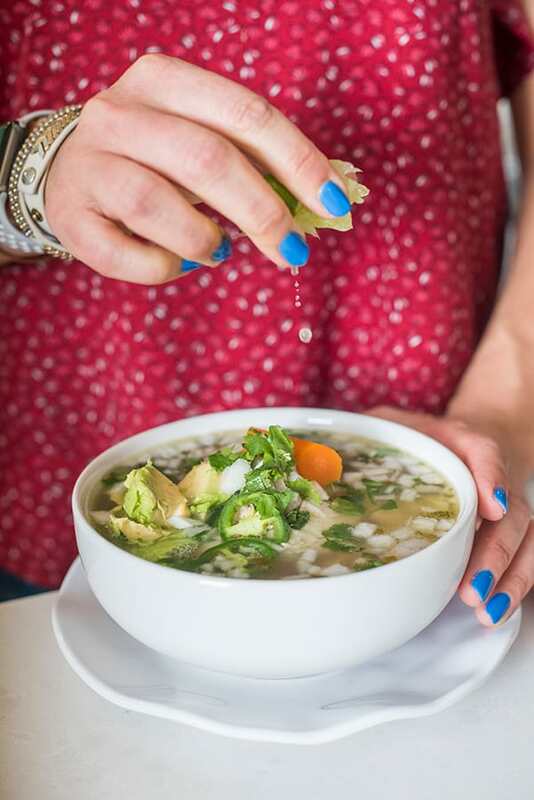 This humble yet satisfying chicken soup is naturally gluten free and made with just a few simple ingredients including chicken broth, onions and carrots. While I typically start with raw boneless, skinless chicken breasts you could just as easily use shredded rotisserie chicken to save even more time. 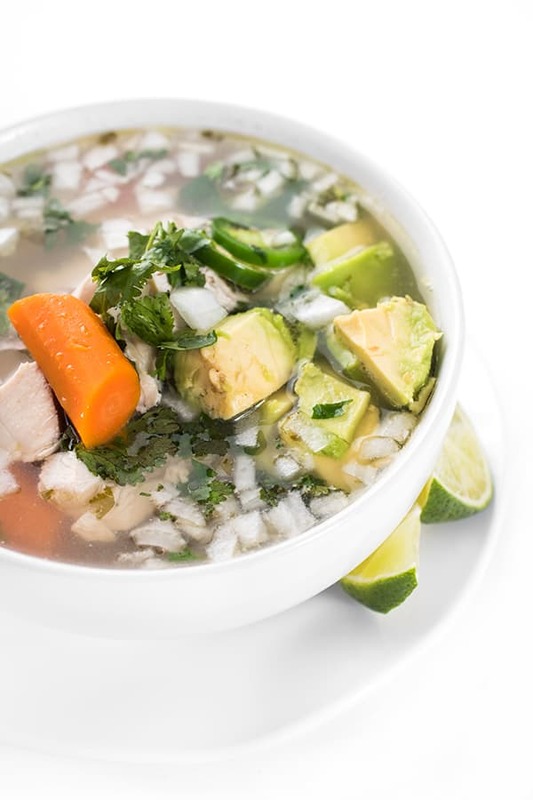 The true star of the show in this Mexican chicken soup is the garnish. Fresh lime juice, creamy avocados, minced onion and spicy jalapeño are sprinkled on top right before serving. While these garnishes are optional, I highly recommend serving them at the table along with warmed tortillas if you wish. What are your favorite Mexican recipes? I’d love to hear you. 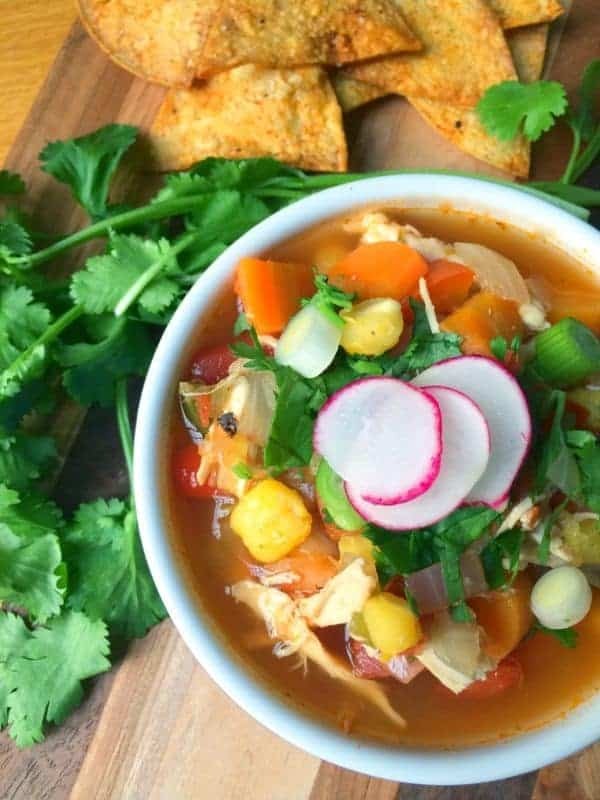 This simple, flavorful Mexican chicken soup is warm, comforting and easy to make. Naturally gluten free, it's great for feeding a crowd! Bring chicken broth, quartered onion, salt and pepper to a boil in a large soup pot. Add chicken breasts then bring back to a boil. Reduce to low and simmer for 20 minutes or until chicken breasts are cooked through. Remove chicken from the pot and place on a cutting boar. Cut into large chunks then return to the broth. Add quartered carrots and cook until fork-tender, about 6-7 minutes. 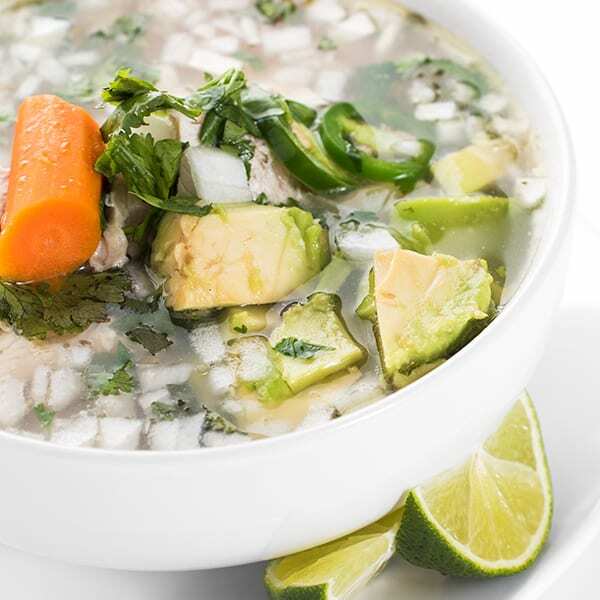 Divide soup between four bowls then garnish with lime juice, cilantro, avocado, minced onion and jalapeño. Season with additional salt and pepper to taste. While these garnishes are optional, they are the star of the dish so I highly recommend them. Interested in more hearty, delicious soup recipes? Check out my Pinterest board!